We're from a small town in Myrtle Creek Oregon where there isn't many costume contests so we thought we'd give this a try. Dressed up as Tiffany is my niece 8 year old Keatyn Hudson. 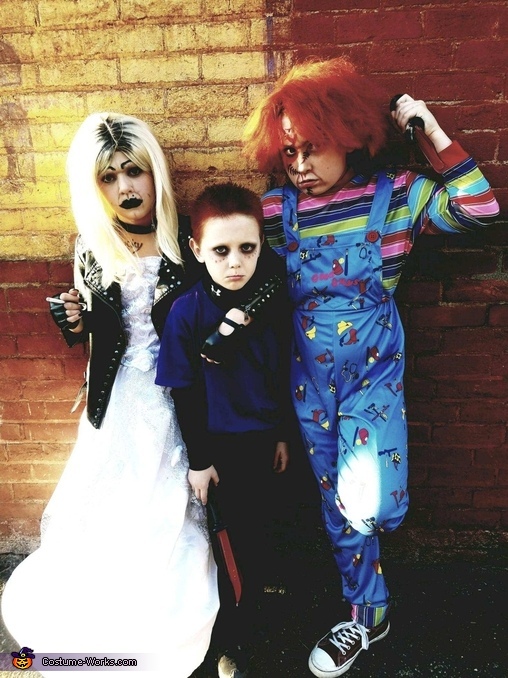 Dressed up as Glen is 7 year old Braylon Hinshaw and dressed up as Chucky is 8 year old Landon Hinshaw. All cousins!